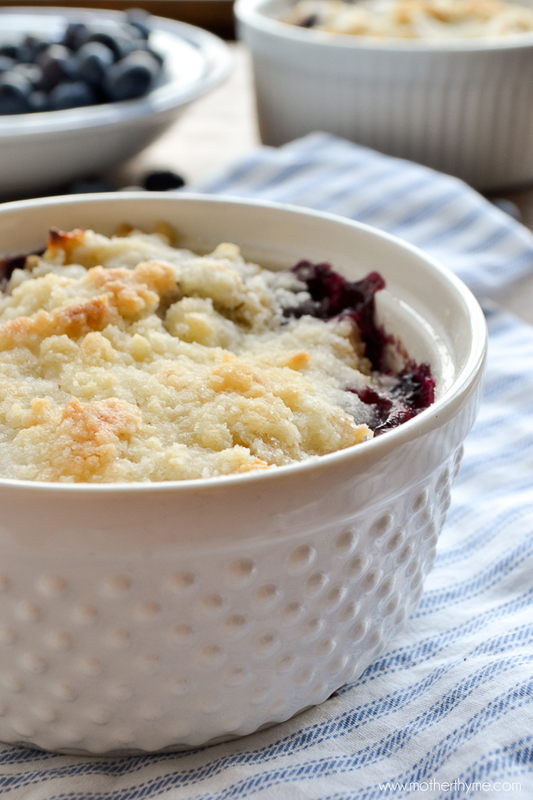 If you love oatmeal or blueberry muffins, you will love this Blueberry Muffin Oatmeal. 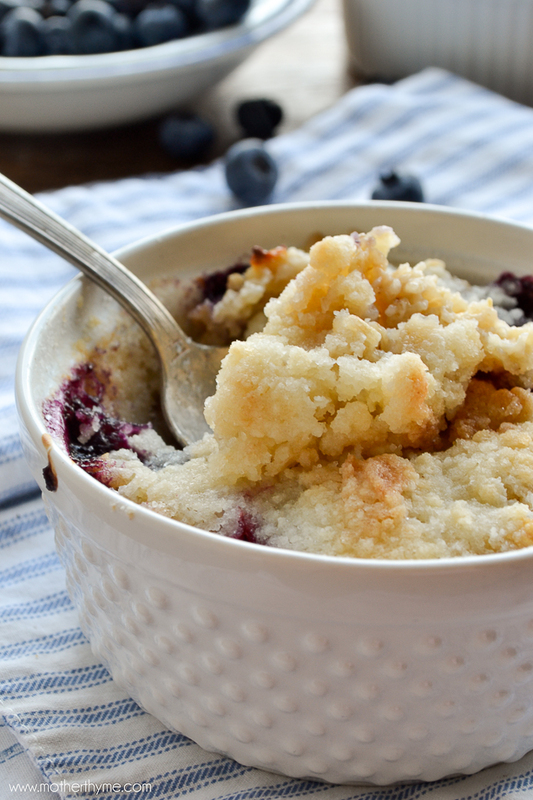 Creamy oatmeal mixed with fresh blueberries, complete with a buttery crumb topping. This is one bowl of oatmeal you don’t want to miss! I know I haven’t been posting my recipes as much as usual. I have been busy working on so many projects. Last month, I was the event coordinator for the Buffalo Baby Expo. It was so much fun to be involved coordinating this successful show for new and expecting parents. We had over 55 vendors from mommy clubs to photographers at the show. Since that show Mr. Mother Thyme and I have been working hard preparing for my next show. This weekend I am doing my first craft show for Sugar & Thyme. Mr. Mother Thyme and I have talked about doing this for years. We are so excited to see our vision come to life. We have been working hard on our setup, preparing inventory which I also still need to add to my Etsy shop, and all those little details I get compulsive about has been taking up the majority of my free time. I love how our display looks, and I look forward to sharing that with you after the show. In the midst of it all, Mr. Mother Thyme and I have enjoyed a trip to Sarasota last month, I went to visit friends out of town last weekend, and Mr. Mother Thyme and I are heading to Fort Myers for a few days next week. At the end of the month I am so excited to be touring the Vidalia Onion farms and attending Vidalia Onion Festival along with several other talented food bloggers. I love, love, love Vidalia onions, so I am going to be in heaven there! I guess you could say my schedule has been full. A few weeks ago I mentioned that I have been following a low carb, sugar free (mostly) diet. I am happy to say I am still following this diet. Of course I’m human, and a foodie that loves sweets, so I do allow for “cheat” days. What is life without an occasional piece of cake, right? For those of you that have so kindly emailed me asking me to post some of my low carb recipes, they’ll be coming soon! On this diet I have been eating a lot of eggs for breakfast. I am now officially burned out on eggs. I have made them every way possible, but at the end of the day they are still eggs. What has been working for me is every few days instead of eggs, I switch it up a and enjoy a bowl of oatmeal. This Blueberry Muffin Oatmeal tastes like a blueberry oatmeal muffin complete with a buttery crumb topping. It is so good! If you love oatmeal, or have tried my recipe for Cinnamon Roll Oatmeal, you are in for a real treat. 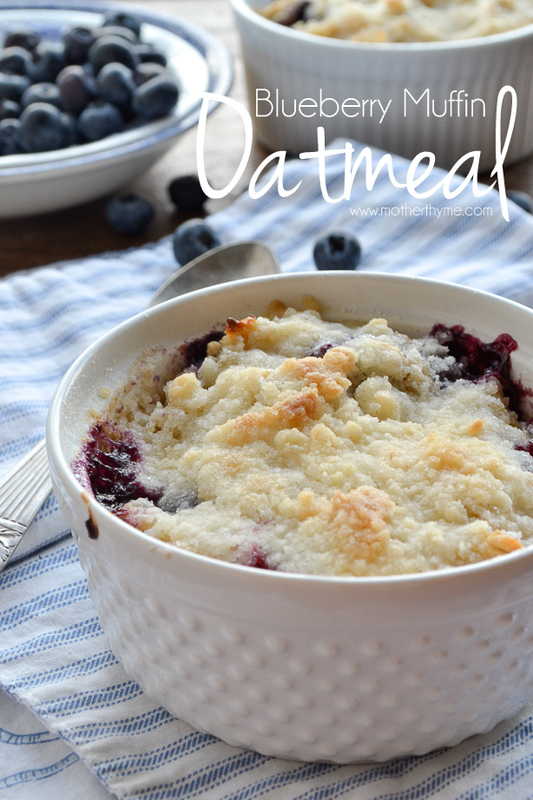 It is a simple recipe for oatmeal, mixed with fresh blueberries. It is then baked in the oven with a crumb topping for one tasty bowl of oatmeal. In a large saucepan add milk, sugar, vanilla and salt and bring to a boil over medium heat. Remove from heat, gently stir in blueberries and cover. Let sit for about 3 minutes. Mix sugar, flour and butter in a medium bowl. Using a pastry blender or fork, cut butter into sugar and flour until mixture resembles small crumbs. Spoon cooked oatmeal into ramekins or oven safe bowls. Generously sprinkle topping over oatmeal. Place ramekins on a baking sheet and place in oven for about 10-15 minutes until topping begins to brown. I would love to attend your craft show. Can you share where it will be. Love the oatmeal recipe but I also would like your low carb recipes. Do you think coconut milk would work in the oatmeal? Wowee you have been busy! Good for you sticking to the diet. I’m not sure I could manage that! This looks good enough for dessert! This is FABULOUS. Gorgeous too. And you’re busy girl! What a fun trip to Vidalia. Love those! This is the perfect weekend breakfast!